What is an employee record sheet? 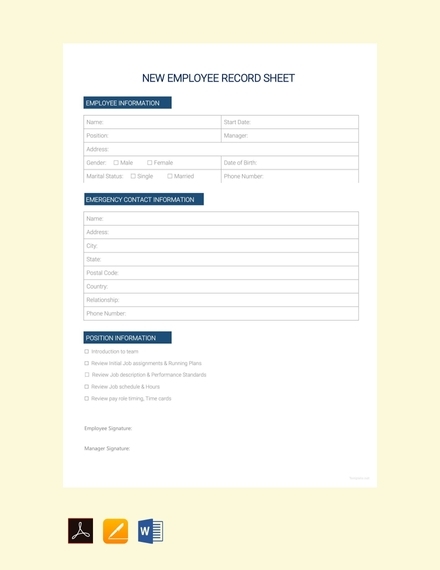 Also called an employee information sheet, an employee record sheet is a business document that lists down various information regarding the employee. In this article, we will be helping you create an employee record sheet. 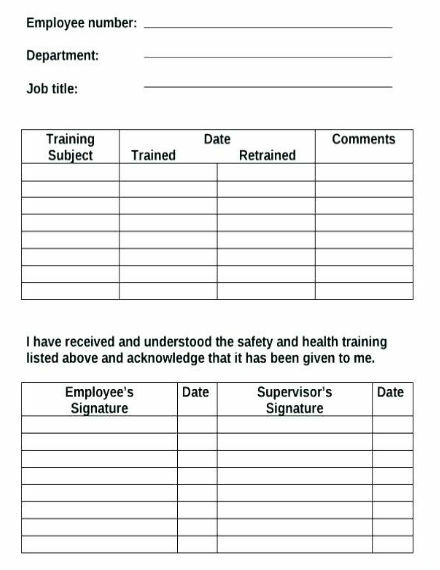 We have provided templates that you can download for free, and we have listed the steps in creating an effective employee record sheet. Listed below are the elements of a good employee record sheet. Make sure to include all of the elements so that future employees will not have a hard time filling out the record sheet. 1. Full name: Probably the most basic and most information listed in a record sheet, the full name should be written on the topmost part of the record sheet. If the employee has a suffix (i.e. Jr., Sr., II, III, etc. ), then it should also be listed down in the record sheet. 2. Home address and phone number: Also an important part of a record sheet, the home address and phone number of an employee should also be listed on the topmost part of the employee record sheet right beside the name or below it.You may also see overtime sheet examples. 3. Social security number: The Social Security number is also an important element of an employee record sheet, specifically for insurance purposes (especially if the employee has a spouse or child/children). An employee is usually given only one Social Security number for the duration of his career, so there should only be one Social Security number that the employee should write down in the record sheet. 4. Spouse or children information: Speaking of a spouse or children, the name of thee employee’s spouse (husband or wife) as well the names of his children should also be listed down in an employee record sheet. Aside from the names, the age and address should also be listed, but it is optional though. 5. Start date: Although the employee’s start date is listed in his or her contract, listing the start date in the record sheet is also essential. This allows employers to check the record for various purposes (i.e. salary increase, promotion, last pay, taxes, etc.). The start date can be listed on the top left-hand or right-hand corner of the employee record sheet. 7. Emergency contact information: Emergency contact information is an essential element of a record sheet. This includes the name of the individual (the emergency contact person) and his or her contact number. This information is very important especially if the employee met an accident or failed to report to the office for consecutive days without informing his supervisor or manager. The emergency contact information can be listed at the lower part of the record sheet. 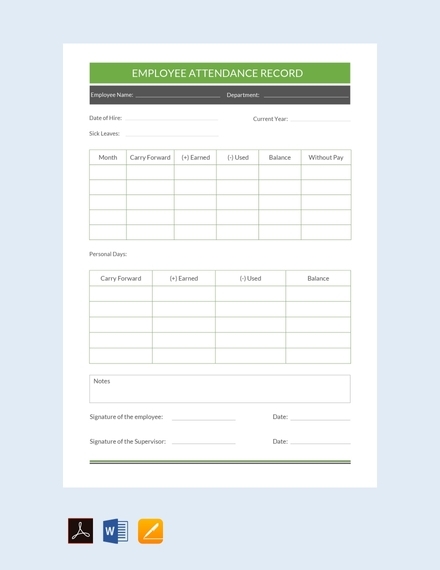 Here are some tips to help you create an excellent employee record sheet. An employee record sheet is still a business document, similar to a business plan or investment agreement. That is the reason why pictures or images should be limited, or better yet, avoid it all together. If you want to add images, insert the logo of your company instead. Insert it on the topmost center of the record sheet or at the background of the record sheet. 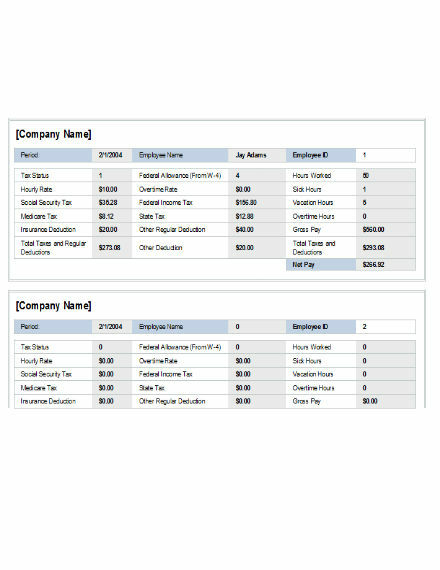 When you will be creating an employee record sheet, create boxes or lines for the information that the employee will be writing down (i.e. full name, address, contact number, Social Security number, spouse or children information, start date, salary, and emergency contact information). This will guide the employee when he will be writing the information. You can leave spaces but it is better to incorporate boxes or lines. Additionally, the employee’s phone number should also be included. This can be either landline number, mobile number, or both. Boxes for mobile number and landline number should be included in the employee record sheet. When creating a record sheet, it is also better if the information will be categorized. The record sheet can be broken down into three groups: personal information, company information, and family information. Personal information includes the name, contact number, and email address. Company information meanwhile includes the employee start date, Social Security number, and salary. Lastly, family information should include spouse and children information, and emergency contact information.You may also see score sheet examples. A record sheet should not be more than one page long. And there is really no need to make the record sheet lengthy since only a handful of information is needed. The elements listed above should be the only information needed in an employee record sheet, and everything can easily fit in one page. Creating an employee record sheet is not difficult. 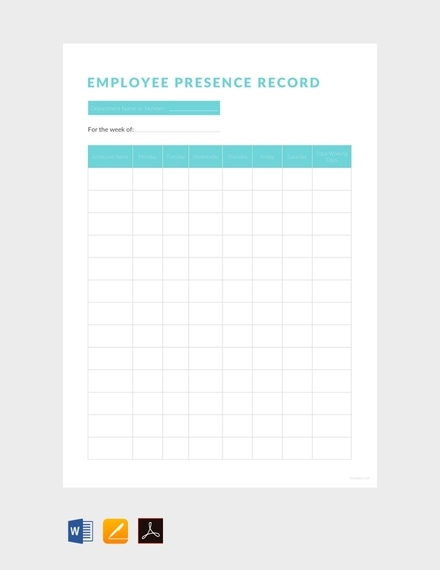 Here are the steps to designing a good employee record sheet. Follow these steps so that you can create an effective record sheet. To begin the record sheet, you first need to create a layout. Categorize the information and group them according to purpose: personal information, company information, and family information. Creating a layout will also involve choosing the font size, font style, and the color of the boxes for the information (although black is the more commonly used color). 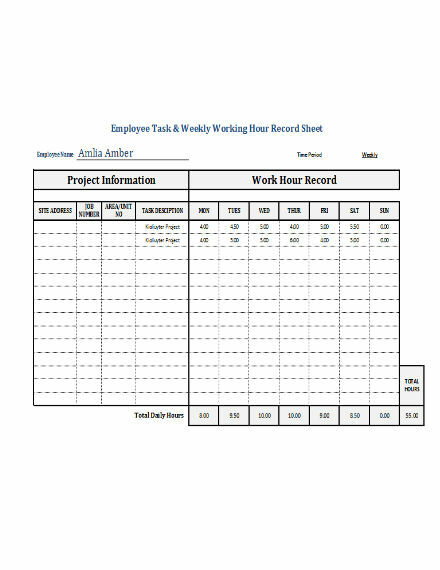 Once you have created a layout, it’s now time to create the employee record sheet through a graphic design software (Photoshop, Illustrator, Corel) or word processor software (Word, Open Office, WPS Writer, etc.). 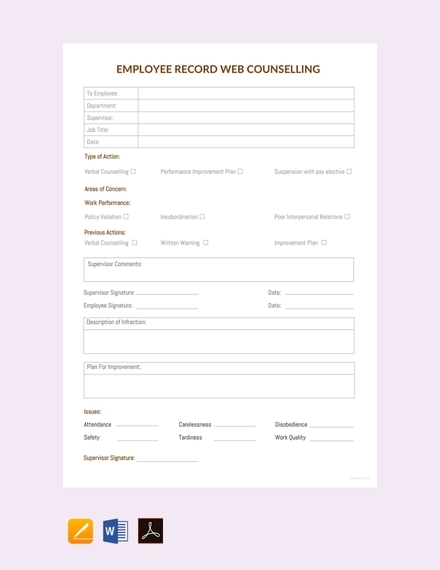 It is not difficult to create an employee record sheet. It will only take you a few minute then you’re done.You may also see student sheet examples. Before you print out the employee record sheet, check for errors and revise immediately. Even if the persons viewing the employee record sheet are only individuals within the company, it does not mean that important details will be compromised. There is actually no specific employee record sheet size. What is used instead are US paper sizes. Here are the US paper sizes that are commonly used for an employee record sheet. 1. 8.5 × 11: This is the most commonly used US paper size for an employee record sheet. Even if the size is smaller compared to the succeeding paper sizes below, all of the information can still fit without any problems. 2. 8.15 × 14: A slightly bigger size compared to the previous one. This paper size is a staple for employee record sheets. If you like to add additional information for the record sheet, you can use this size. 3. 8.27 × 11.69 (A4): This size is similar to the second paper size, but shorter in length. Use this paper size if the 8.5 × 11 is not available in your office. 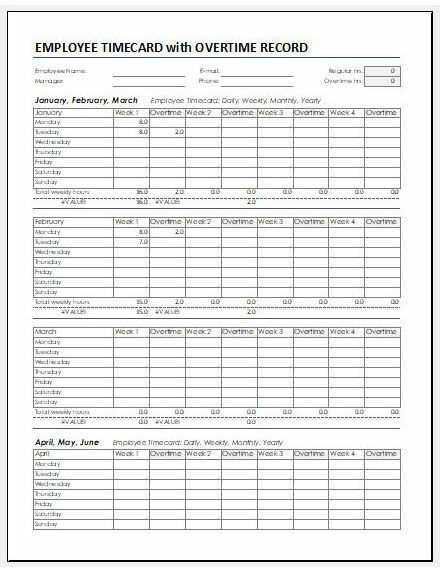 How do you make a good employee record sheet? 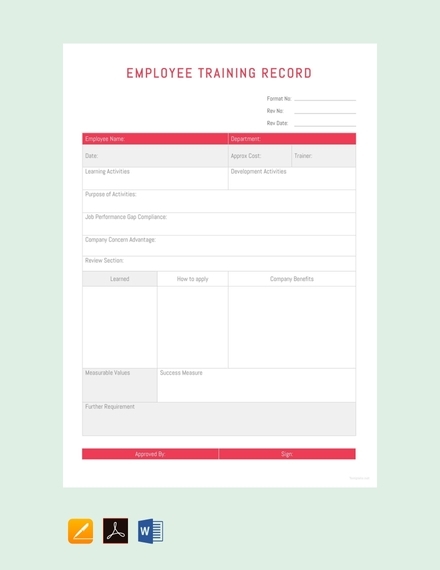 Follow these steps when creating an employee record sheet: (1) create a layout, (2) use a design or word processor software, and (3) edit and revise if necessary. Why is an employee record sheet important? An employee record sheet is important because it provides the company basic yet vital information of all their employees. 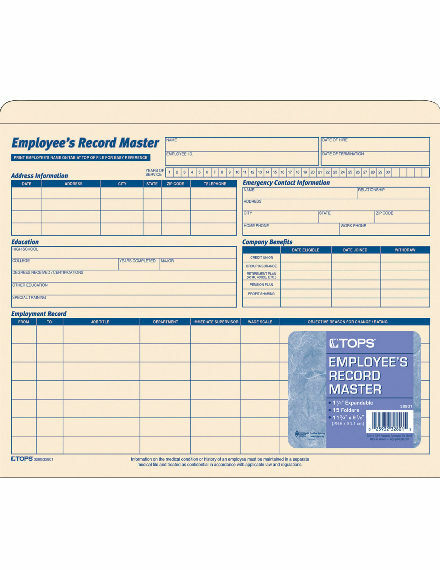 What is an employee record sheet used for? We hope you found this article to be informative as well as helpful when you will be creating your own employee record sheet. We have provided some examples and templates that you can download for free.